Thanks for taking the time out of your busy schedule to do this interview with us! 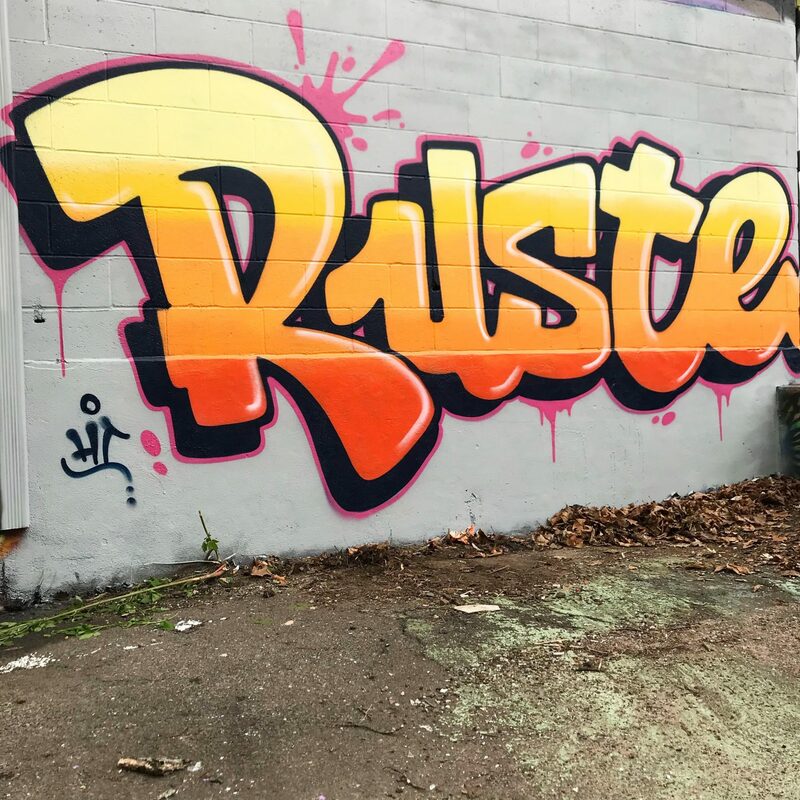 Can we please start by you introducing yourself, how did you get started in graffiti and how did you come up with the name ruste_bee? 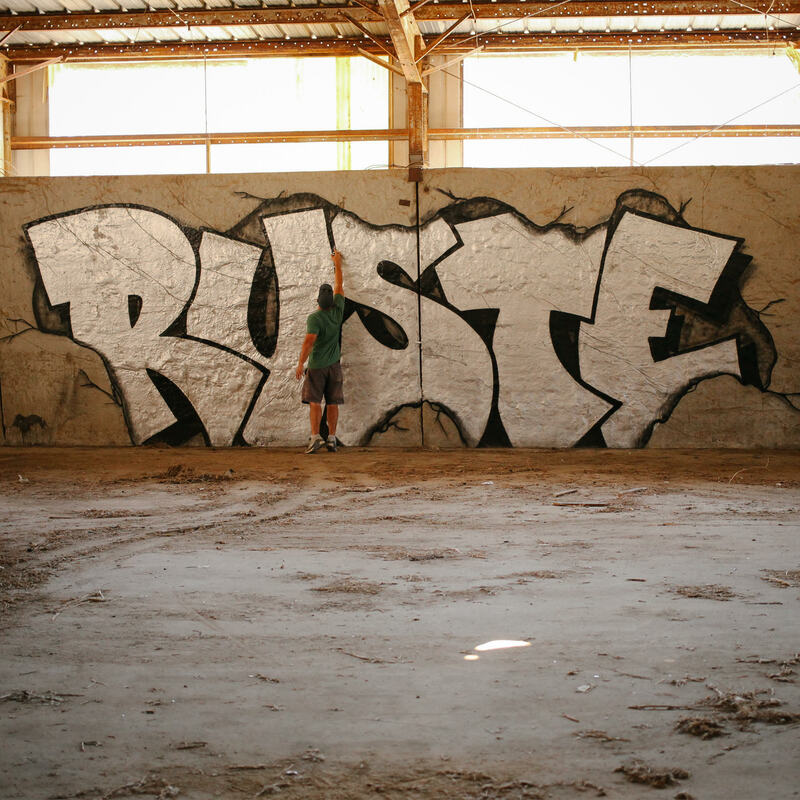 I write Ruste. I had a few different names when I first started out. 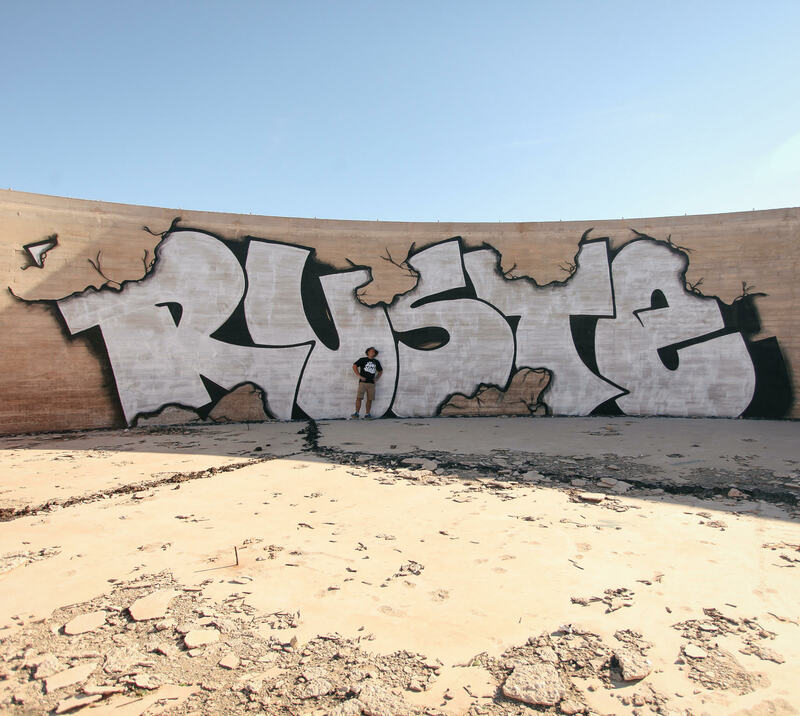 Rusty was a nickname I had when I was 4 years old that I hated. I decided to bring it back but with an E instead to change it up. I’m originally from Boston, but I’ve been in Connecticut for about 5 years now. I started writing in 2001 but then eventually got distracted by Life. I started back up again and haven’t looked back since. 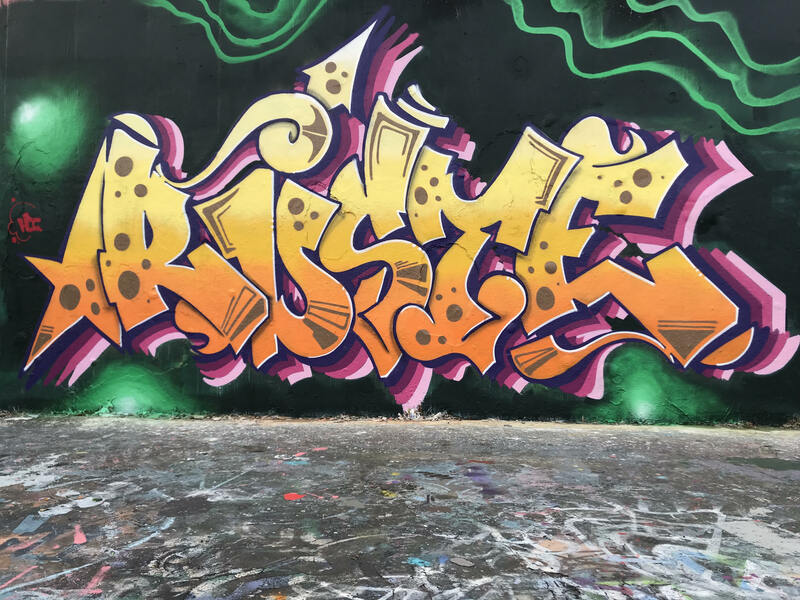 Who or What originally inspired you to get into graffiti as opposed to any other medium? My grandfather made a living as an artist so art was always prevalent in my life. 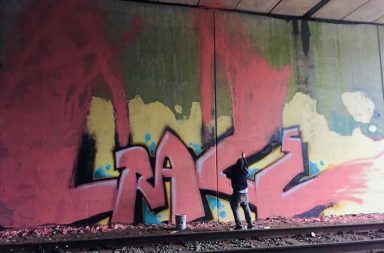 I was always fascinated with the graffiti I saw riding the train and driving on the Mass Pike. I took a few art classes and attempted going to art school, but I didn’t like being told what to paint or when I had to be finished. I also didn’t like painting on canvases. Art for me was an outlet and escape from reality. I didn’t want to make it my job. Can you tell us a little bit about your crew @thehicrew? You guys have a posting for Saturday July 14th for the 3rd annual Hi-Crew “Art in the back and music in the front” event in New Haven, CT. Can you tell me how that got started? Why did you guys start this event and what can people expect when they attend? When I moved to Connecticut I ran into Reo at a local spot. We started painting together, and he slowly began introducing me to other Crew members. I had to meet and paint with everyone to make sure I vibed well with the whole Crew. After a few months of consistently painting with everyone they agreed to put me down. 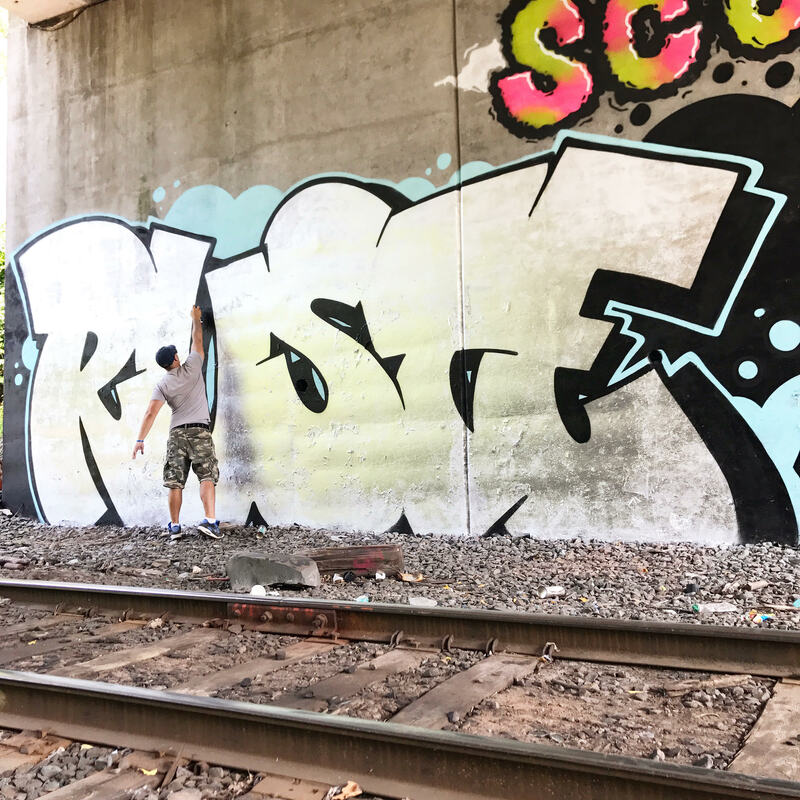 Hi Crew is known for doing full scale themed productions, but has members that exhibit all elements of Graff. For artists that are just starting out and trying to get their name out there what do you recommend? How much of what you guys do is networking and setting up events vs. out on the streets bombing? For people starting out I recommend focusing on style, proportion, and letter structure. Anyone can run around and “get up”. You want to be sure you’re getting up with a good reputation and style. I’d recommend trying to link up with someone you can learn from. Do you research and homework too. When you say to focus on style proportion and letter structure can you elaborate on what that meant for you? 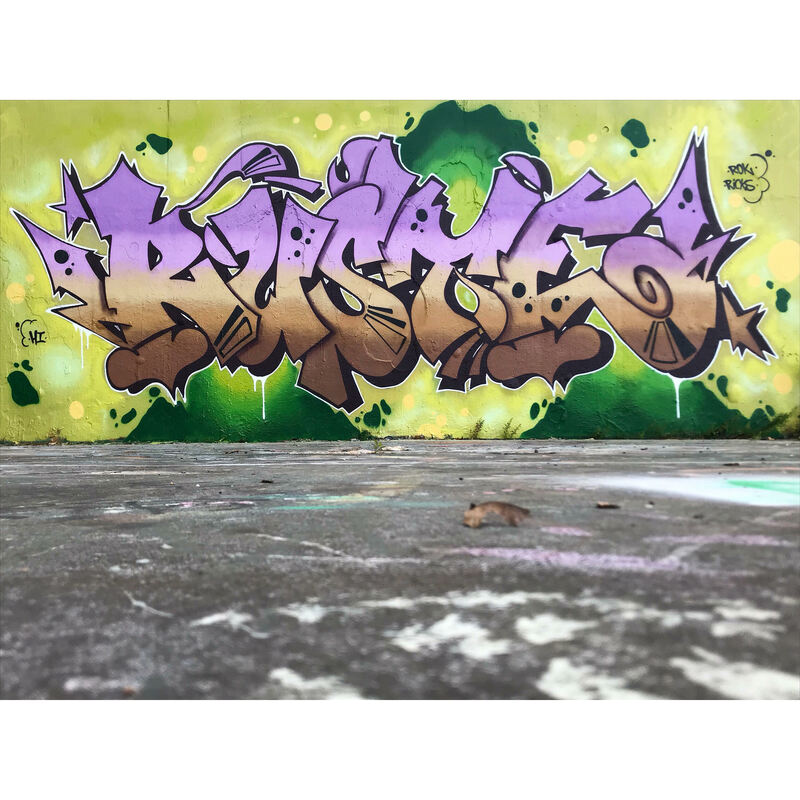 Did that mean copying down different peoples style in your blackbook and then comparing the letters? Is there any exercises you can recommend? Weight, balance, and proportion helps to make a strong looking finished product. This tends to show more if you’re doing a simple style font, dead letter, or block buster. I always map out the space I have to help make sure the height to width ratio will be proportioned correctly. 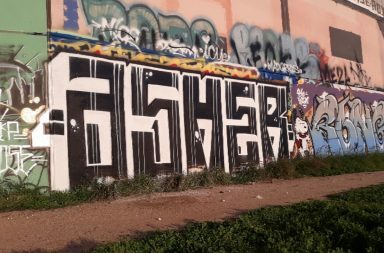 Graffiti for me is an outlet from my daily grind. I don’t do commission Work nor do I have any interest at this point. I’ll sometimes do things in trade but that’s really it. You said you don’t like painting on canvases or making this thing into a job, so how do you support yourself and still be able to travel and give your time to your craft? would you ever consider selling pieces of your work to followers to fund yourself or do you do any type of commission work? I work a basic job Monday– Friday. I live a pretty simple lifestyle so I don’t really have too many expenses. Most of my free time and money goes towards paint and traveling. I put in time sketching every night, and I usually go out at least one weeknight to paint. My weekends are when I do the majority of my traveling and Painting. If you’re willing to get up early and stay out late with little sleep you can get a lot accomplished in a weekend. Most of my travels are for short periods of time. I usually only do “commissioned” work upon request. If someone asks me to make something for them and offers money I consider it, but I have no real interest in perusing it at this point. 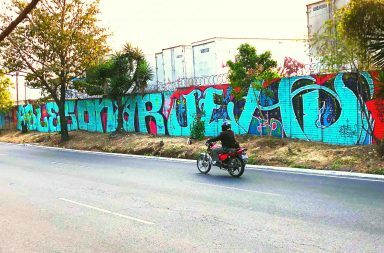 My favorite part about graffiti is the people and the travel. I’ve met some amazing people and built friendships that otherwise would have never formed without the common ground of graffiti. 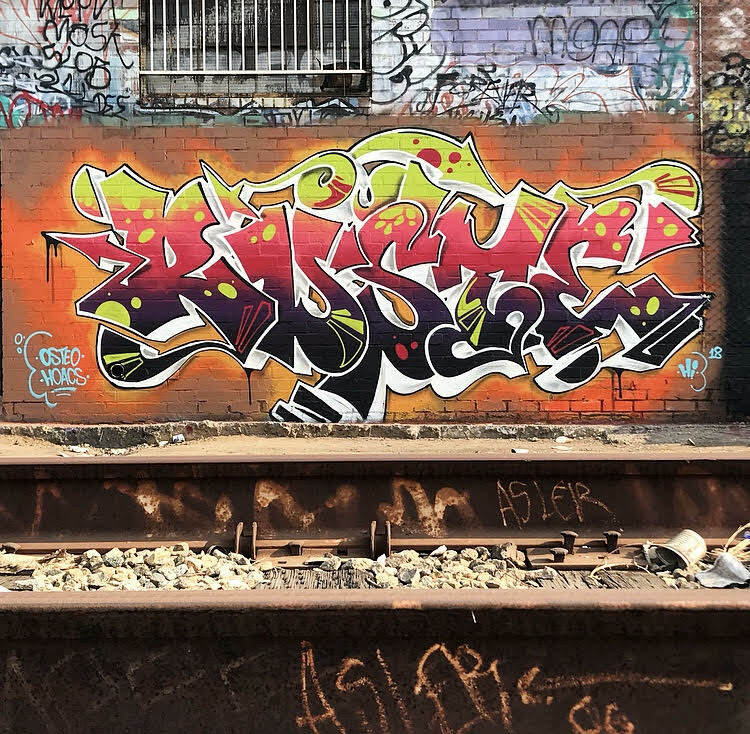 People from totally different backgrounds, places, and cultures, but can all connect through graffiti. I’ve also been to some incredible places. To me the spot can be just as important as the piece. I look forward to continuously meeting new people, and Painting places I’ve never been before. I traveled all over the country and parts of the world to paint. I try and go to a different place each month. Recently I’ve been going out to the West Coast a lot since there’s endless real estate with incredible views. When you travel do you travel as a crew or just independently? What is your favorite and least favorite place to travel? I tend to travel only or with one or two people. The more people you try to coordinate traveling with the more complicated it becomes. The least moving parts the better. It also allows you to make decisions easier on the fly. Nothing ever goes as planned when traveling, and adjustments constantly need to be made. The less decision makers the better. I love traveling to places I’ve never been before. California is always an adventure, but sometimes you can have the wildest adventures closest to home…. lately I’ve been on a New Age Classical music kick. It’s instrumental versions of New Age music done on piano or violin. In general I prefer calming music while drawing or painting. Who are your favorite writers and artists today? Any tips or advice you can pass along to aspiring writers? There’s so many talented artists out there today it’s so hard to pick. 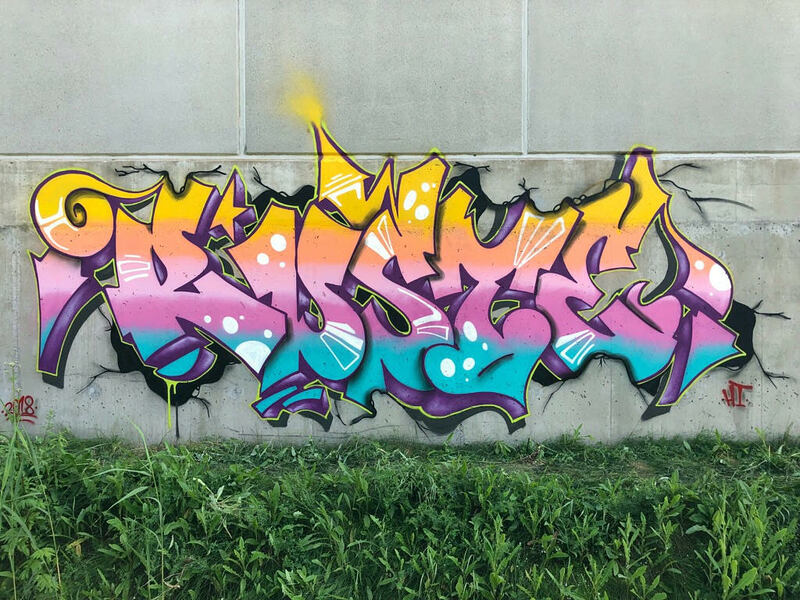 I will say Abys from France absolutely skills walls on another level. His creativity, style, and use of color combined with scale is phenomenal. 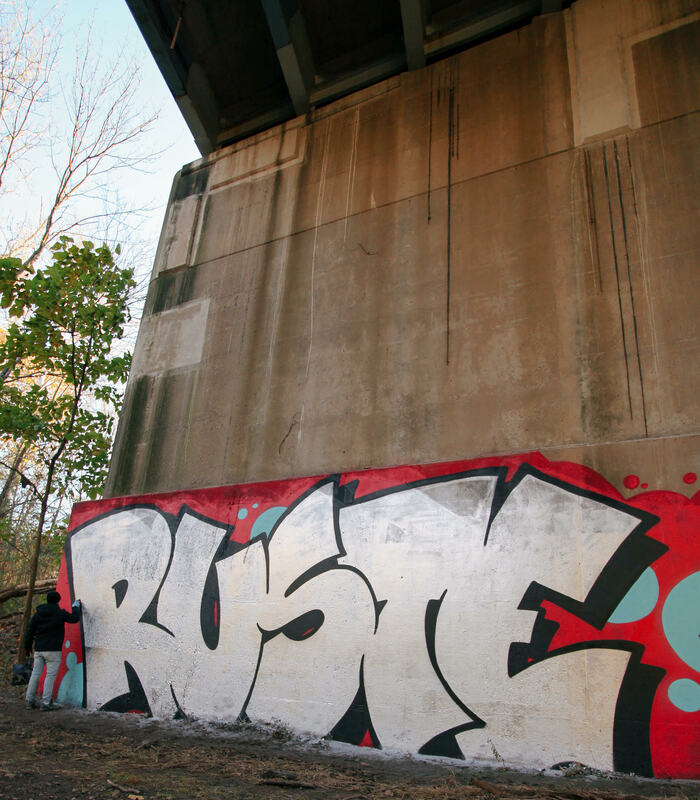 You can follow Ruste on Instagram.